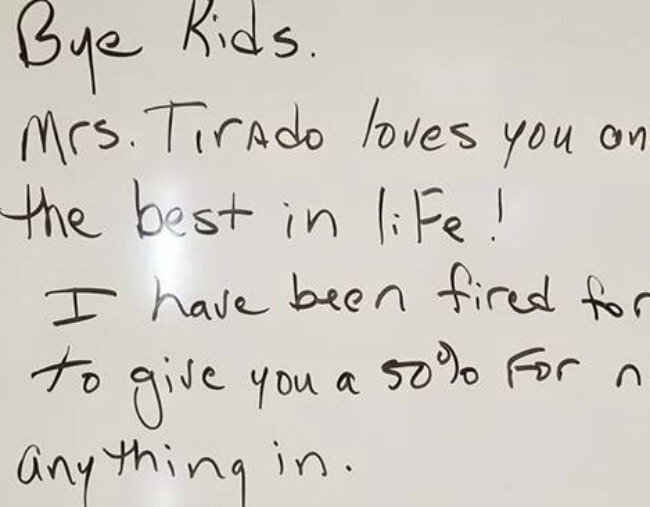 Teacher gets fired, and leaves controversial note for students. Does this teacher's parting message for her students sum up everything that's wrong with the world? It’s the argument that never seems to die down. Our kids are too soft. They’re not learning resilience. We give them a medal for participating and we play games where there are no winners or losers. We wrap them in cotton wool and make sure they never, ever feel hurt, or sad, or disappointed. And it’s breeding a generation of monsters. This line of thought has been supported by teachers, parents, employers, journalists and various others who happen to have interacted with a child. 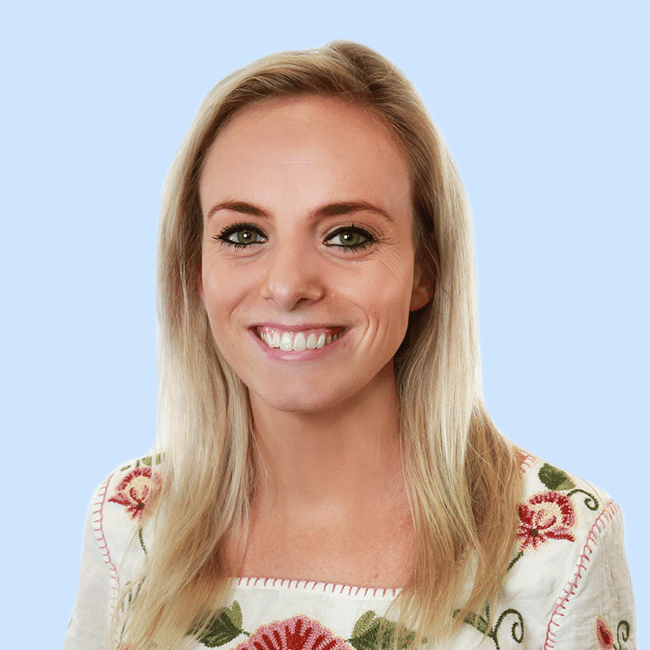 And now, a teacher’s parting message to her students after being fired has started a heated conversation about our approach to young people are failure. Diane Tirado, 52, says she was sacked on September 14 from her high school in Port St Lucie, Florida for refusing to abide by the school’s “no zero” marking policy. The Student and Parent’s Handbook, Tirado said, stated in bold letters, “the lowest possible mark is 50 per cent”, requiring teachers to give at least 50 per cent for work, even when it’s substandard or incomplete. “Bye kids,” she wrote on her whiteboard. “Mrs. Tirado loves you and wishes you the best in life! I have been fired for refusing to give you a 50% for not handing anything in. The post, shared to Facebook two weeks ago, has only just started to gather traction online, with thousands sharing the message. Tirado, who has been a teacher for 17 years, started working at the Florida school in July. On Facebook, she shared a photo of the page in the school’s handbook that outlined their marking policy. Speaking to Florida TV station WLOS on Monday, Tirado said she gave her Year Eight social studies class two weeks to complete a project, but a number of students didn&apos;t hand it in. It was then she discovered the school&apos;s zero-grading policy. "If there’s nothing to grade, how can I give somebody a 50 percent?" Tirado asked on the program. "I’m arguing the fact that you don’t get something for nothing. I want the policy changed, and it’s not just here." Tirado also said the grading page in the school&apos;s handbook adds confusion, because above the words "no zeroes," there are zeroes in the scale. The teacher&apos;s official letter of termination didn&apos;t include a reason, as she was still within her probation period. Speaking to Fox News on Tuesday, St Lucie Public Schools superintendent E. Wayne Gent insisted "we&apos;re not making it easy for students". In a series of follow up Facebook posts, Tirado said she “took on this fight because it was ridiculous”. "Teaching should not be this hard. "Teachers also provide numerous attempts to get the work collected so they can give a child a grade. By nature, most teachers are loving souls who want to see students succeed." Do you agree with the &apos;no zero&apos; marking policy? Let us know in the comments.